Utilizing the Ancient knowledge of Hawaiian Shamanism, Huna is an integrated approach to healing that transforms the energetic nature of the various systems and organs of the body. The body is scanned to track strong points and patterns of dense energy that create disharmony and dis-ease (lack of ease). These areas are then transformed with a combination of energetic bodywork and intuitive therapy to reintegrate and restructure the information held within each system and organ back to wholeness. Once wholeness is restored the body naturally flows with Life Force Energy, health and wellness. Depending on the issue, this can happen in one healing or over a series of healings, but relief will be felt after each healing as the body moves into a higher vibration of lightness and ease. Healing can be done in-person or at a distance by Skype or phone. Note: The energy healing portion of the session is done fully clothed on a massage table. 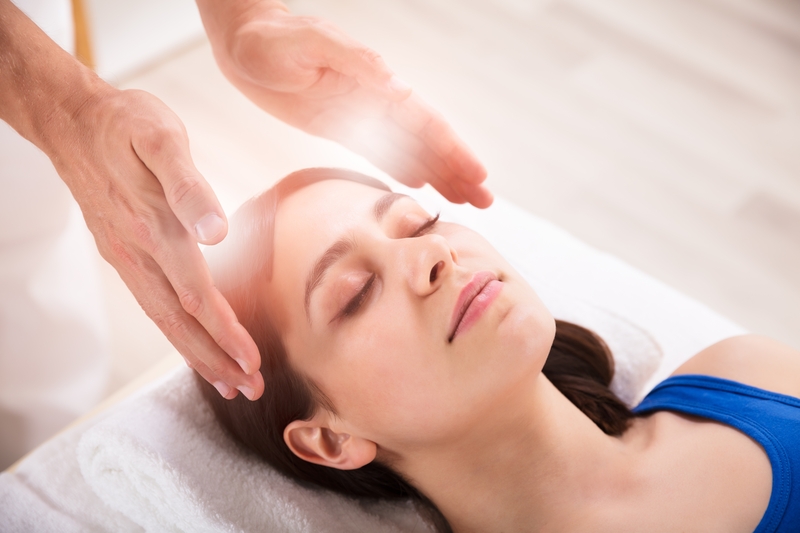 Energy healing in distant sessions is done by remote healing. Overall, it is all a very gentle experience although sometimes tightness and strain is felt or emotions come unexpectedly to the surface as energy releases. Results of this treatment tend to be fairly immediate and profound. Some may experience detoxification following the treatment which, when it occurs, is all part of the healing process. Please book your appointment accordingly. Triggers the body’s intelligence to heal itself. To learn more about Karen other offerings at Akasha's Den, click here.